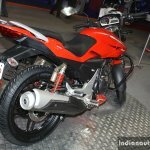 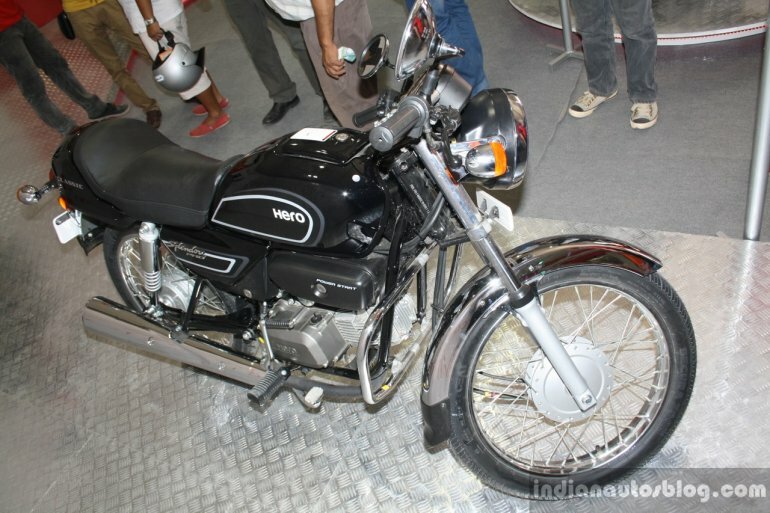 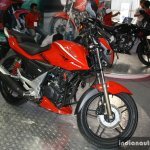 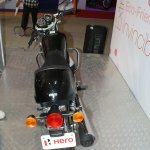 Nepal General Marketing, the authorized distributor for Hero Motocorp in Nepal, has unveiled five new vehicles - Karizma R, Karizma ZMR, Xtreme Sports, Passion Pro TR and Splendor Pro Classic - at the Nepal Auto Show 2014 (NADA 2014). 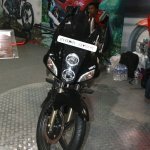 Note that these models were showcased in two separate events last year and at the Auto Expo, and introduced phase wise in India. 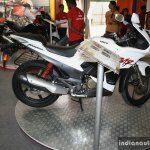 The Karizma R is powered by an air-cooled, single-cylinder, four-stroke, 223 cc engine making 19.2 PS (18.92 bhp) and 19.35 Nm of torque. 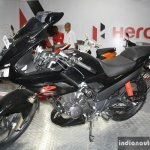 In comparison, the older model, that was also selling in Nepal, produced 17.2 PS (16.95 bhp) and 18.35 Nm of torque. 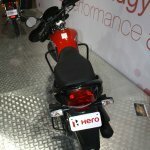 Thanks to the power hike, the 0-60 km/h acceleration time has reduced from 3.8 seconds to 3.6 seconds. 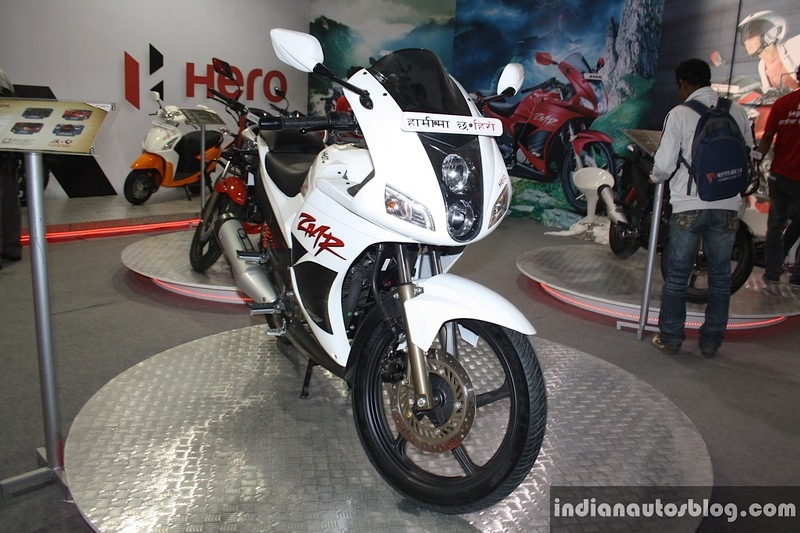 The Hero Karizma R is priced at NPR 259,000 (INR 1.61 lakhs). 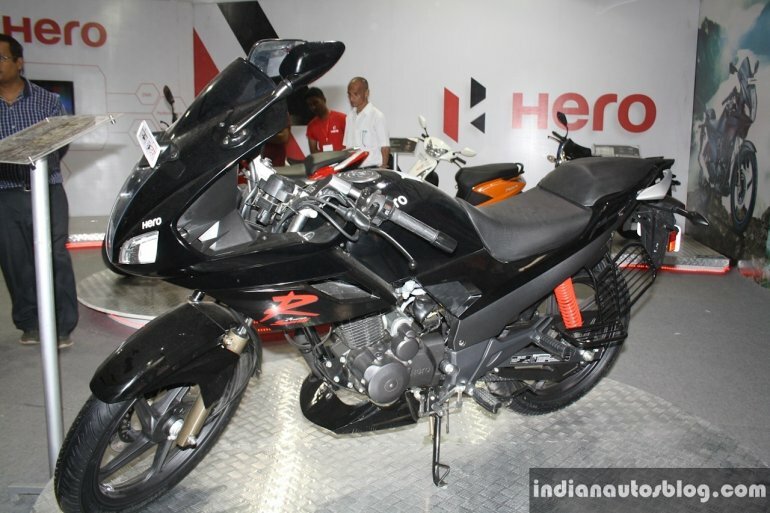 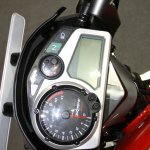 The Karizma ZMR harnesses power from the same single-cylinder, air-cooled, 223cc engine. 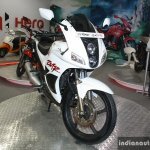 However, where the R delivers fuel through a carburetor, the ZMR is fuel-injected and boasts of higher power and torque figures of 20 PS (19.71 bhp) and 19.7 Nm respectively. 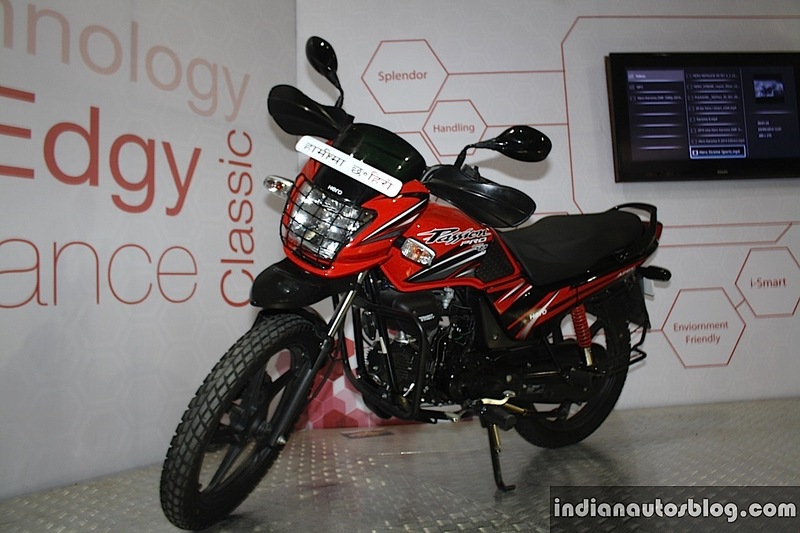 This is an improvement from the earlier ZMR's 17.8 PS (17.54 bhp) and 18.35 Nm of torque. 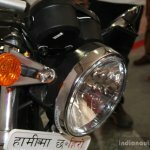 Visually, both Karizmas now get twin headlamps, a new handle bar, new race-inspired belly pan, muscular front fender, new muffler cover, bulb winker, revised fairing and wider tires. 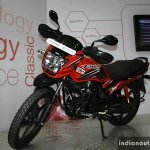 Targeted at the youth, the Xtreme Sports gets better engine specs, new headlamp and fuel tank compared to the regular Xtreme. 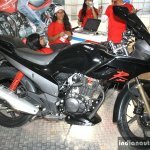 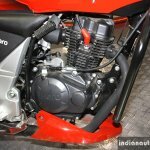 The motorcycle is powered by an air-cooled 149.2 cc engine that produces 15.2 bhp and has a peak torque output of 12.80 Nm mated to a five-speed constant mesh gearbox. 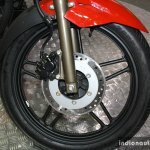 A 240 mm disc brake comes standard and rear brake options are a 130 mm drum or a 220 mm disc. 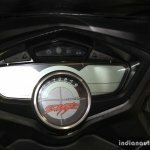 The Xtreme Sports gets a 12.1 liter fuel tank and weighs 148 kg for the disc+drum option and 139 kg for the twin-disc option. 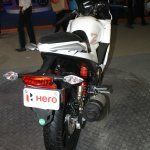 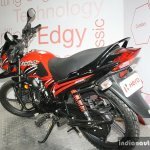 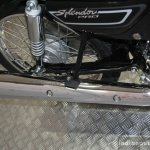 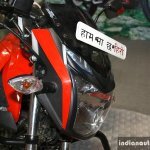 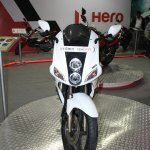 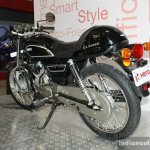 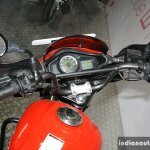 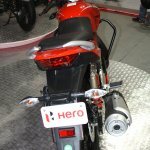 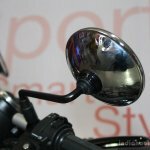 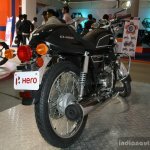 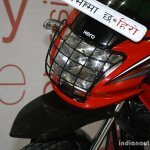 Based on the Hero Passion Pro, the Passion Pro TR was launched in India recently for young riders to take their bikes away from conventional roads. 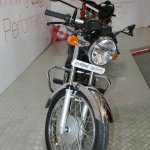 New features on the Passion Pro TR include on-off road tyres, sturdier handlebars with cross brace, high front fender, headlight grille, hand guards for added protection, bash plate and fuel tank pads. 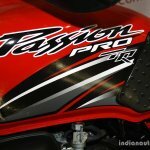 New body colors and body graphics are also part of the upgrades. 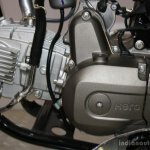 The familiar 97.2 cc air-cooled, four-stroke, single-cylinder engine produces 7.7 bhp at 7,000 rpm and 8.04 Nm of torque at 4,500 rpm on the TR. 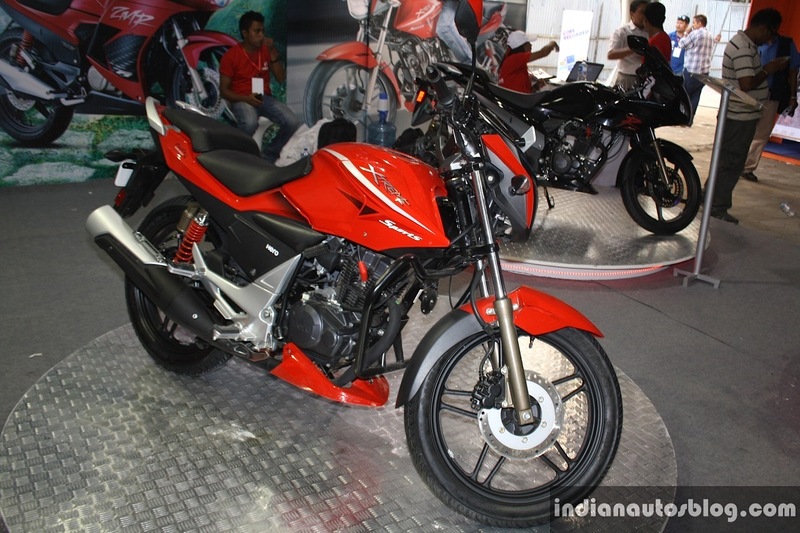 It matches to a 4-speed gearbox. 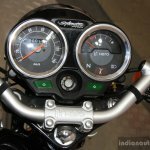 Dubbed by Indian motorcycle enthusiasts as the poor man's Royal Enfield Continental GT, the Splendor Pro Classic, based on the Splendor Pro, receives a cafe racer inspired styling. 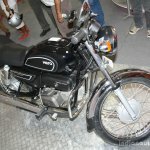 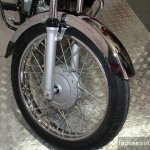 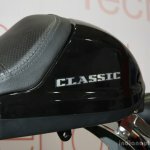 It has new handle bars, a classic round headlight and taillight, a cafe racer cowl and chrome parts such as front and rear fenders, winkers, suspension cover and round shaped wing mirrors. 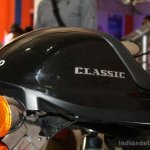 Power comes from the trusted air-cooled, four-stroke single cylinder 97.2 cc engine which produces 7.7 bhp at 7,000 rpm and a peak torque of 8.04 Nm at 4,500 rpm. 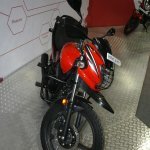 It is ridden through a 4-speed gearbox.